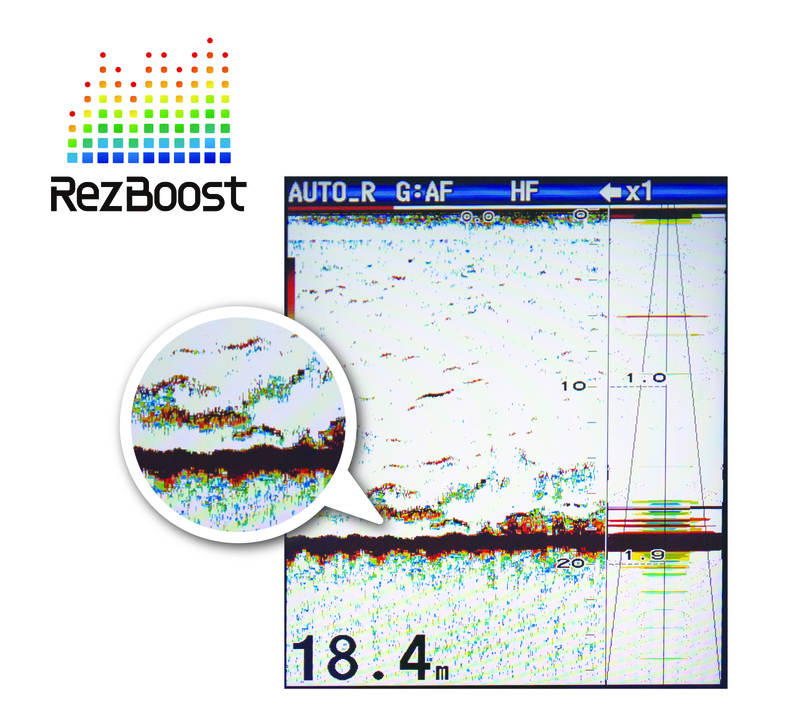 *The enhanced mode of RezBoost™ requires a RezBoost™ capable thru-hull or transom mount transducer. 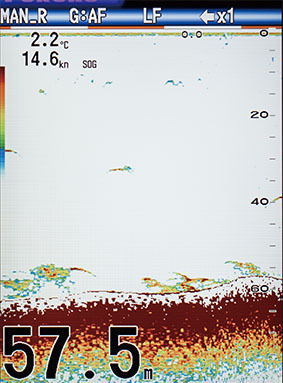 The top edge of the bottom echo is displayed in white to clearly show bottom structures. 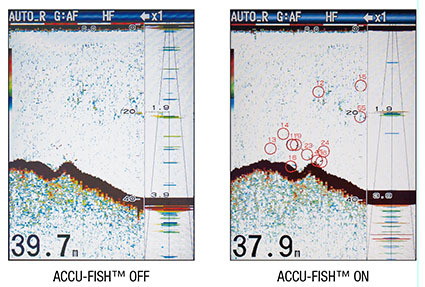 This feature helps to discriminate between weeds and bottom fish distinctly. 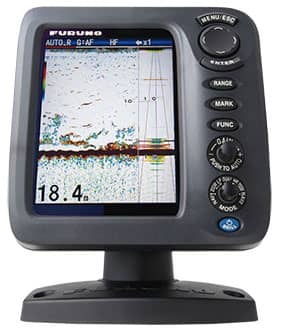 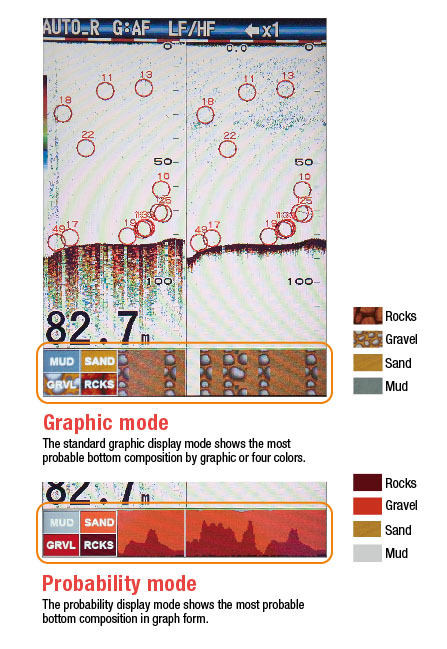 FURUNO's TLL (Target Lat/Lon) output allows you to interface the FCV-628 with your FURUNO chart plotter so that you can mark fishing grounds with various information (L/L, Depth, Water Temp, Fish size and Bottom type).